Car cleaning and detailing tools are necessary to own as well as the soaps, polishes, waxes we sell on order to create a show room shine for your ride. Not only will the correct tools make cleaning your ride faster, but also more efficient. You also to use the correct wash mitt or sponge, wax applicator, and definitely a high quality drying towel that won't scratch your just cleaned paint finish. Often, you will need some sort of brush that is specifically designed to help scrub certain parts of your car that get extra dirty, like your wheels or fender wells. Interior detailing brushes, scrubbers, and applicators are also helpful to have in order to keep your interior clean as new. The brushes, applicators and drying towels we offer are all super-high-quality that are used by both professional detailers and amateurs alike. If you are anything like me, and you have a passion for how clean you can get your car or truck, you know how important it is to get the dirt out of even the smallest crevices on the inside and outside of your ride. 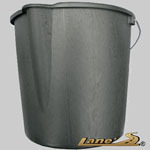 This gray 2 1/2 gallon car wash bucket is constructed of plastic and conveniently holds 10 or 12 quarts of liquid soap or other car cleaning solution. 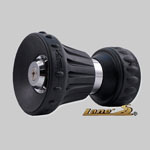 < Use this fire department style hose nozzle while washing your car to blast away mud and grime. The fire hose nozzle adjusts from a 40 foot water stream to a gentle fan spray. One of our most favorite detailing tools! Tire & Trim Dressing Applicator is a great detailing tool used to quickly spread dressings to prevent drips. Durable foam leaves a smooth even gloss. Includes convenient storage tub. Great for applying tire shine, interior dressing, or engine dressings! The 100% Cotton Chenille is soft enough to protect your paint yet sturdy enough to use over and over.. The thousands of deeply tufted absorbent yarns attract and trap the dirt from your car and then release it when you submerge the mitt in the wash bucket. This saves your car from the scratches and swirls that are often caused by lesser mitts or rags pushing the dirt around on your paint during washing. The Snow White Heavy-Duty Chenille Wash Mitt is clear-coat safe. One of our most favorite detailing tools! 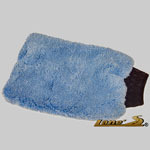 The Microfiber Wash Mitts provides a safe, effective way to wash your car or truck paint. 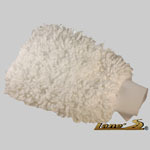 The Microfiber Wash Mitt is pure quality, which will not leave swirl marks or fine scratches in your clear coat paint. The Microfiber Wash Mitt is used by professional auto detailers and car fanatics that pay close attention to small detail. Washing your car is the first step in the exterior detail process and using the Microfiber Wash Mitt will make this step safe. 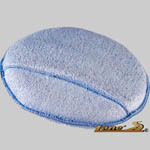 This Microfiber Chenille Scrubber Wash Pad is safe on all surfaces, as well as glass and metal. Mesh quickly and gently scrubs away dirt and grime. Chenille is very absorbent and carries an abundance of soap and water. On the back side of the scrubber pad, the microfiber mesh quickly cleans bird droppings, bug grime and residue from paint, wheels, windshields, windows and headlights without scratching. The crimped stiff polystyrene bristles provide extra scrubbing action so you can get all of the dirt and grime off of your fenders and wheel wells. 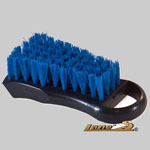 The blue polystyrene bristles are highly resistant to acids, heat, chemicals and solvents, so none of your cleaning products will damage this brush. Safely wash away dirt and grime without worrying about abrasion. The soft, crimped flagged-tip polystyrene bristles are resistant to acids and detergents. 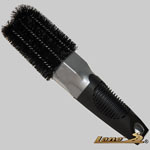 This is a great brush for wheels and grills.One of our most favorite detailing tools! 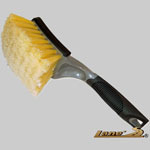 Super Soft lightly crimped flagged-tip yellow color Polystyrene bristles are safe for all surfaces. Bristles carry an abundance of soap and water to the surface to quickly wash away dirt and grime. Bristles are resistant to acids and detergents. This Body Brush has a thermal plastic rubber grip handle, which is ergonomic and provides greater comfort and better grip control, reduces slippage, wet or dry and absorbs shock to your hands. The Body Brush has a rubber safety bumper which prevents accidental scratches, dings and blemishes to car surface. 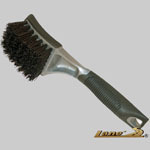 Lane’s Grip-It Rim and Spoke Brush has two soft loops of bristles which removes grime and dust from wheels and rims. With its non-slip comfort grip handle and its ergonomically designed handle to be an extension of your hand makes it easier to use with less effort and better results. One of our most favorite detailing tools! This Large Wire Wheel Spoke Brush is the perfect tool for cleaning your wheels. Now you can reach in deep areas with this Brush. The brush filaments are made of natural Tampico. This fiber has soft to medium texture that is highly resistant to liquids, solvents and heat, making it perfect for any wheel and tire cleaners that you might use with it. This Small Wire Wheel Spoke Brush is the perfect tool for cleaning your wheels. The Brush will fit between tight spokes allowing you to finally remove that built-up dirt. 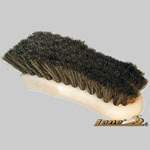 This white nylon bristle brush is perfect for scrubbing dirt and grime away from your sidewalls or tires. White nylon bristles will not stain or mar whitewalls. The bristles are densely packed and crimped for added scrubbing strength. Thermal Plastic Rubber Safety Bumper prevents accidental scratches dings and blemishes to your car. Angled handle design protects hands, keeping them away from surface. Thermal Plastic Rubber Grips reduce slippage wet or dry and absorb shock to your hands. Ergonomic handle provides better grip control. 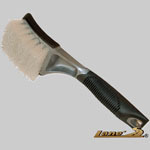 #1 Dual-Purpose Detail Brush. 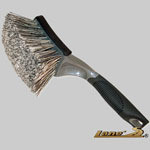 This Brush, which is used by professional detailers, has white nylon bristles staple-set at each end of plastic handle. These dual brush heads will save you time by allowing you to detail in the smallest areas such as your console, gear shifts, gauges, vents, window instruments, etc. How many times have you applied car wax and found wax buildup in your door, hood and trunk cracks? 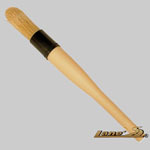 Lane’s offers a new Wax Detailing Tool that allows you to easily remove wax buildup in hard to reach areas. Now with the grip-it wax removing detailing tool, you can safely and effectively remove both the wax buildup and residue with one easy step. Grip-It 2-N-1 Detailing Tool has a soft rubber tip to remove built up wax from hard to reach places and soft Tampico bristles to remove residue. The Detailing Brush is ergonomically designed to be an extension of your hand, making it easier for cleaning with less effort and better results. The car wax removal detailing tool is a must have for any auto detailer and car fanatic that wants to keep their car wax free. A Must Have Detailing Tool! This Shammy is 720 square inches which is the perfect size for drying your automobile and windows, leaving behind a streak-free surface. This professional car chamois makes drying cars fast and easy and is safe for all clear coats. 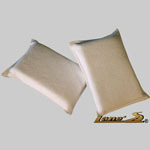 Best of all Lane’s car chamois can be used over and over again. Three 14" x 14" microfiber towels. The microfiber towels polish and clean, leaving a lint-free, streak free surface. The microfiber towel can be used for removing car wax, car polish and auto detail spray safely and effectively. Now, you can protect your vehicles clear coat finish by using a professional microfiber towel to remove car wax products. 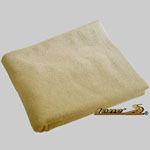 The microfiber towel is easy to maintain and can be reused again and again. 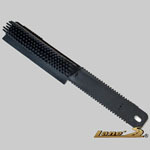 The California Water Blade 14" removes water quickly, cleanly and efficiently. This car squeegee will mold itself to almost any contour, and will dry the surface in one pass. The patented T-Bar edge is made of medical grade silicone, one of the most gentle and smooth substances available in the auto detailing industry. 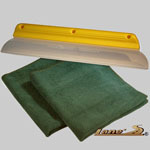 Using this auto squeegee will save you time especially if you are drying a SUV or truck. The California Water Blade is clear coat safe and can also be used to dry glass. In this unique combo we also include Lane’s 16x16 Microfiber Towel. This towel is designed to polish and clean, leaving a lint-free, streak free surface. The Jumbo Microfiber towel is great for exterior vehicle drying and is extremely durable used over & over again! You can dry and protect your car or truck exterior clear coat finish. 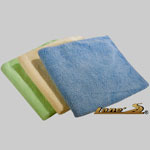 The Jumbo Microfiber Towel works great with Lane’s Wash & Shine Soap. 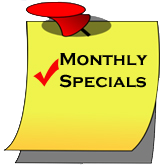 Use what the professional auto detailers are so excited about and try one today! 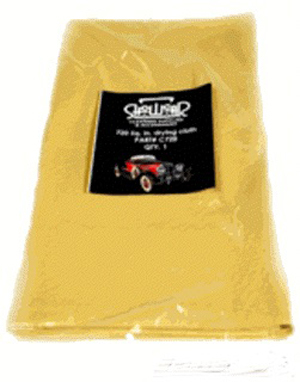 This Waffle Weave Drying Towel has a unique Waffle Weave pattern for a rapid dry time on auto glass. The Waffle Weave pattern helps to cut through stubborn streaks and smears. This towel will actually cut drying time in half. 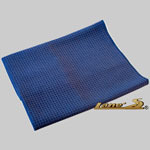 The Waffle Weave Towel is not sold in retail stores and is used by professional auto detailers and dealerships in conjunction with Lane’s Concentrated Glass Cleaner to produce a clean, streak-free window. This window towel will leave a lint-free, streak free glass surface. The Corduroy window towel is the best, cleaning windows easily. Use what the professional auto detailers are so excited about and try our best window cleaning towel today! Best of all this window cleaning towel can be reused over and over again. 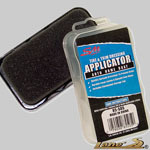 Lane’s Professional Car Products presents Terry Wax Applicators. Use Terry Wax Applicators to apply wax in a circular motion. These durable Wax Applicators make applying car wax easy. These professional wax applicators can be used again and again! 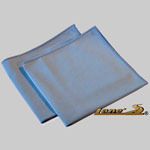 To remove wax try our professional microfiber towels. Soft, durable, fine cell foam. Gently and evenly applies waxes, polishes and protectants. Safe for any surface. Gently and easily apply waxes and polishes evenly using this soft pad. 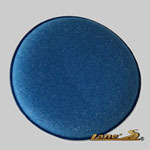 The Foam & Terry Wax and Polish Applicator is a soft, durable foam pad with terry laminated to one side. This Pocket Wax Applicator/Remover features soft, microfiber terry to gently and evenly apply waxes, polishes, protectants, and dressings, to any surface. Hand pocket gives more flexibility, better control, and is reversible for two working dies. 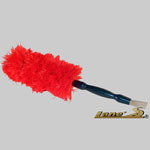 Lane’s Auto Cleaning Vent and Dash Brush makes cleaning your dashboard, door panels and console surfaces fast and easy with its ultra-soft fiber duster which lifts dust rather than push dust around. The Vent Brush with its super soft bristles handle delicate cleaning jobs from air vents, console, stereo surface and speaker panels. Great Detailing Tool to have at car shows! 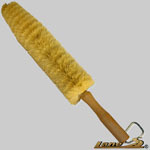 This soft bristled brush is perfect for quickly removing dust and debris from hard-to-clean seams in automobile dashboards, around vents, radios, and speakers. Easily scrub dirt and grime from carpets and floor mats with the Carpet & Floor Mat Scrub Brush. Stiff nylon bristles get into the pile of carpets and floor mats, releasing and pulling up dirt and grime. Curved Handle design allows easy access to carpet under and around car seats. Use this brush wet or dry, the durable polypropylene bristles resist heat, acids, cleaning solvents and chemicals and are not affected by moisture. 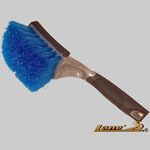 Clean your leather seats safely with little effort with Lane's professional Leather Cleaning Seat Brush. 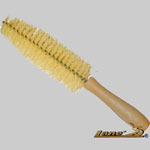 This Brush is constructed of Horsehair bristles staple-set in a sturdy handle, making it easy to remove dirt and grime. 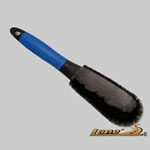 Use this brush to clean automotive upholstery, floor mats and vinyl tops. The durable plastic bristles on the Upholstery Brush give extra scrubbing action. The rubber pet hair removal brush uses static electricity to attract hair and lint from inside automobiles, upholstery, carpets and more. It will make quick work of cleaning the pet hair from your automobile. 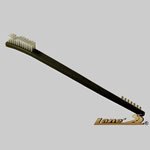 The molded rubber brush can also be used wet to remove dirt and grime. The squeegee edge can be used to remove water and moisture from your car windows.